Can A Daily Dose Of Aspirin Prevent Cancer? 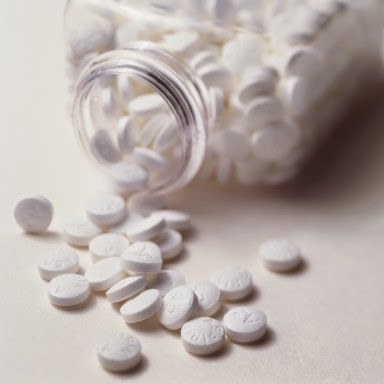 HomeREMEDYCan A Daily Dose Of Aspirin Prevent Cancer? Scientists from the Roswell Park Cancer Institute in Buffalo recently announced they've found a drug that reduces risk of cervical cancer by nearly 50 percent. It's cheap, widely available, and no prescription is necessary. It's also said to prevent heart attacks and reduce the risk of several other cancers, including breast, colon, endometrial, pancreatic, and skin. In fact, a comprehensive meta-analysis of studies found this simple medicine remedy cuts risk of all cancers by 20 percent. Best yet, it might even be in your cabinet right now: plain ol' aspirin. There's also a great deal of research that shows aspirin can help prevent subsequent heart attacks after you've had one. However, the Food and Drug Administration recently made an announcement stating they no longer advise taking aspirin daily as a preventative therapy for first heart attacks, since research only supports it for heart problems following a heart attack. This hard stance from the FDA begs the question: Should you be taking aspirin preventatively or not? To this extent, many doctors consider aspirin a "wonder drug," says Jack Jacoub, M.D., medical director of OC Blood & Cancer Care in California. "For years, we've heard about its benefits for heart disease, and now we're seeing those benefits go far beyond that." Aspirin works as a blood thinner and has the ability to reduce systemic inflammation, one of the leading causes of illness including lifestyle diseases like diabetes, heart disease, and metabolic syndrome. "Aspirin inhibits both inflammation and the genes which promote inflammation, genes which are directly linked to cancer," says Mitchell Gaynor, M.D., an integrative oncologist and author of The Gene Therapy. The problem is that the helpful, blood thinning properties that make it great for preventing a second heart attack, for example, are the same properties that can cause internal bleeding, which is a risk for all patients taking aspirin, whether for heart or cancer protection. "The research on aspirin isn't contradictory; the real message is that doctors need to take an individual patient's history into account and decide if the risks are worth the rewards," says Steven Willey, M.D., author of Reprogram Your Life: Bioscience for a Healthier You. Our bodies' immune systems are powerful tools. When they're working as they should, they mount a powerful defense against invaders. But in the wrong situation, they can overreact and end up targeting inward—the very space they're meant to protect. When this happens on a small scale, you're left with inflammation; on a larger scale, it could mean helping pre-cancerous cells grow and spread in our bodies. And not only does aspirin lessen inflammation, it targets the interaction between the immune system and cancerous cells, short-circuiting the vicious cycle, Jacoub says—an assertion backed up by a 2011 meta-analysis that found aspirin to be a powerful immune-system regulator. "Research has shown that aspirin can delay or prevent the progression of some benign growths into cancerous tumors, something we've really seen with colon cancer—it's incredible," Jacoub adds. Gaynor says he also sees potential for aspirin in fighting diabetes, an area of growing interest, thanks to how often heart disease and diabetes occur together. A root cause of both? Systemic inflammation. But aspirin isn't the only way to reduce inflammation, all the experts point out. Because heart disease and cancer have so many connections to your lifestyle choices, you can significantly cut your risk just by making healthier choices, starting with diet. Gaynor recommends that everyone, regardless of their risk, reduce their intake of refined sugar, refined flour, and heat-damaged vegetable oils (like the soy, corn, and canola oils so often used in junk food). Willey adds that we all need to eat a lot more plant-based foods. Good advice, as decades of research (which the American Institute of Cancer Research has listed) has shown that fruits, veggies, whole grains, and spices can be powerful tools in reducing your risk of cancer. Additionally, the M.D.s emphasize the importance of quitting smoking, exercising regularly, keeping your weight within a healthy range, and having regular check-ups with your primary care doctor. If you do all that and still have risk factors for cancer, like a strong family history or genetic predisposition, then talk to your doc about an aspirin regime. "People get tired of hearing 'exercise, eat right, and get enough sleep,'" says Willey, "but the truth is aspirin (or any other drug) will never replace these." Cashew Nuts: Health Benefits & Nutritional Facts. 13 Amazing Health Benefits Of Walking.